August 2013 | Vanity and Everything in Between. I made another tag video which is the "what's in my makeup bag?" But to spice things up a little, I showed what's inside my office makeup bag instead. I bring a particular set of makeup to the office on Monday and bring it home by Thursday or Friday. Hey, everyone! Virginia Olsen is having a makeup workshop with one of the best Filipina Makeup gurus in Youtube - the one and only Ana Victorino! 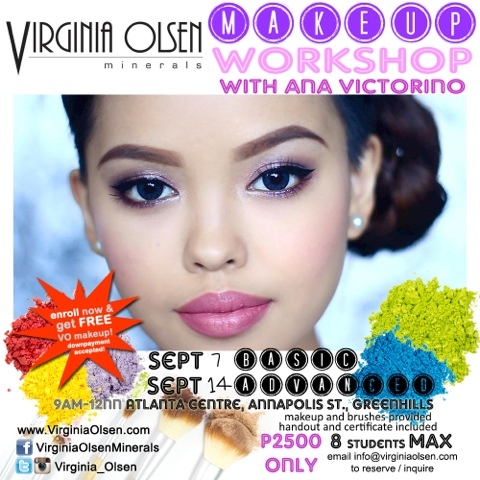 I personally believe you will learn a lot in this makeup workshop because Ana is really talented. Watch her videos on Youtube to see how she transforms herself with different looks. There will be two schedules and limited slots. 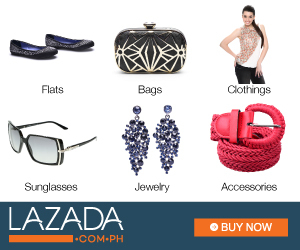 The workshop fee is PhP2,500 but you can get a 10% discount if you use the code VOGem. 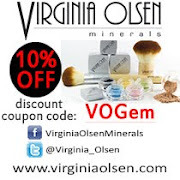 If you're interested, send your reservation to info@virginiaolsen.com. Virginia Olsen partnered with Philippine Animal Rescue Team to support animal cruelty-free in the cosmetics industry. 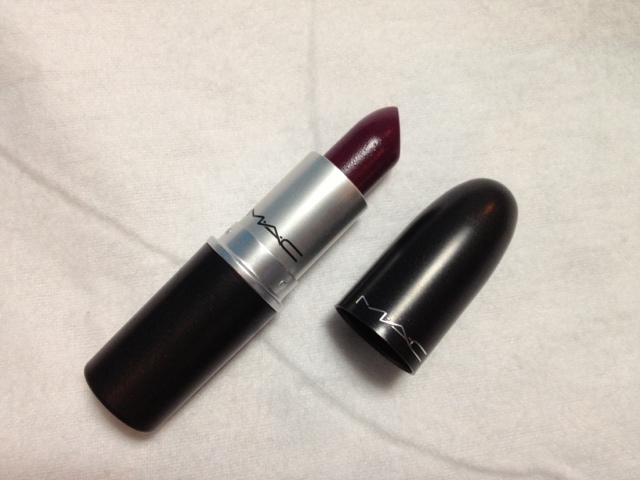 The US mineral makeup brand is known to be against animal testing and also does not use animal hair for the brushes. 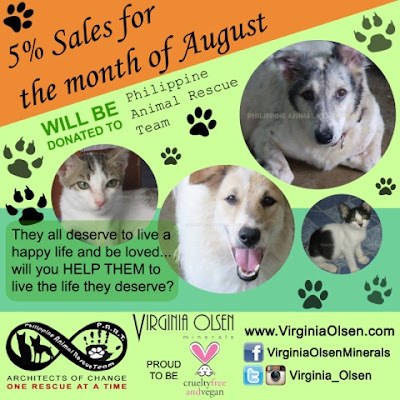 In line with this, 5% of Virginia Olsen’s sales for the month of August will be donated to P.A.R.T., an animal rescue and rehabilitation center. With your help, more dogs and cats will be rescued and sheltered. They all deserve to live a happy life and be loved… will you help them to live the life they deserve? For more info about P.A.R.T, you can check their website at www.philanimalrescue.org and LIKE them on Facebook athttps://www.facebook.com/PhilAnimalRescueTeam. Last Summer, my family and I went to Bohol for a quick vacation. We went to the tourist spots there. 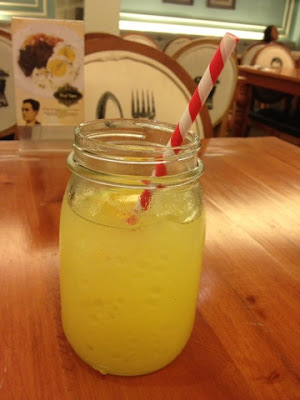 One of the places we went to was the Bohol Bee Farm. We were a bit hungry by the time we got there. Good thing that one of the first things you will see in Bohol Bee Farm is their souvenir shop. We immediately went inside to buy snacks. I got myself two chocolate cupcakes and a can of soda. I went around inside and bought some Bohol delicacies, too. Then there was a section for skin care. 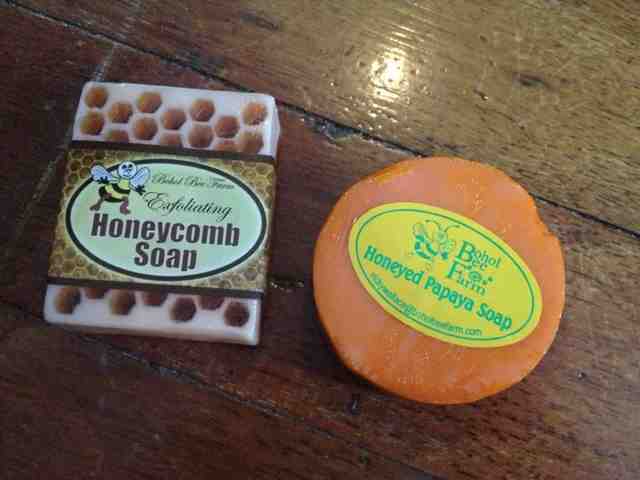 There were several items from Human Nature and soaps made by Bohol Bee Farm. I was a bit nitty gritty on buying these soaps. They were PhP90 each - expensive for a small organic soap. Lawrence saw me wandering around the skin care section and when he was what I was so busy about, he just said "Just take it. Minsan lang naman tayo pumupunta ng Bohol." I was like, "Score!!!" I've already used the Papaya soap and finished it in less than one month. It melted so fast! I'm not sure if it made my skin lighter but all I can remember is that I didn't like its smell. It smells bad. As for Lawrence, he thinks the soap caused him break outs. I liked how it felt on my skin though cos my skin felt smoother after shower. Have you tried this soap? Let me know your thoughts! The Bistro Group recently opened a new Japanese restaurant that focuses on Tonkatsu. 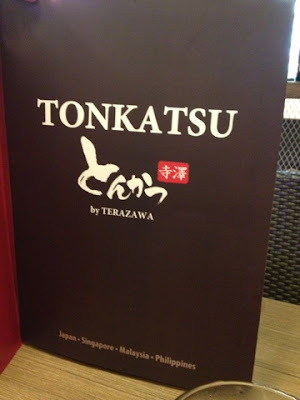 A lot of Tonkatsu restaurants have opened ever since a very famous restaurant that focuses on it opened. Can't blame it really since tonkatsu is good! Last August 9, Lawrence and I went to SM North EDSA because I wanted to visit the NYX store. I was a bit disappointed with the store because their pricing is expensive. Well, it's actually still affordable. It's just that online stores sell the round lipsticks for PhP150 per tube and at the NYX store, it's about PhP250.00. On our way back to the main mall, we passed by the area where there were restaurants outside the mall. I'm not sure what this part of the mall is called. I hardly go to SM North EDSA. We saw Mang Cha-a milk tea. It caught Lawrence's attention because as you all know, we are thinking of putting up our own milk tea business. Anyway, we went inside to check their milk tea. 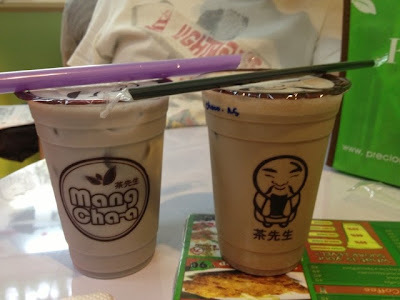 Lawrence ordered Taro Milk Tea with pudding and I ordered Chocolate Malt Milk Tea (I think). The taste is okay. It's something I would buy when I need my usual milk tea fix (given if it's the nearest milk tea store near me, of course). They also serve food and we ordered pot stickers aka siomai. 6pcs for PhP90, not bad! I'm not sure if they have other branches though. But if you're around the area, you can try Mang Cha-a!